Erm...new single from this group is coming out like July 6 I think? NOT YET is my fav sub unit of AKB48..Naminoro kakigoori is a very catchy song..the PV is nice..the dance is cute..and the outfit is lovely.. It's been revealed that AKB48 sub-unit Not yet will release a live DVD/Blu-ray titled "Not yet 'already' 2014.5.10 1st LIVE" on October 15. 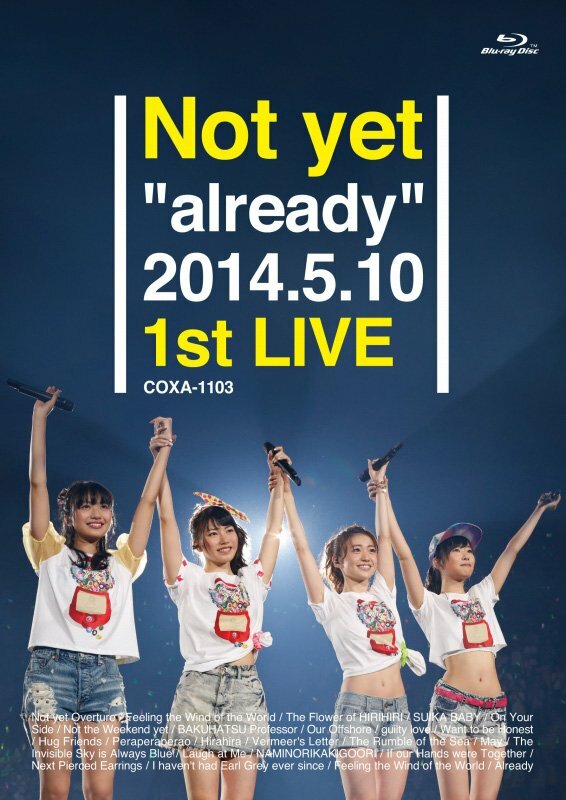 The DVD/Blu-ray will feature the live concert that Not yet held to commemorate the release of their first album "already". Over 10,000 fans gathered at Ariake Coliseum in May to celebrate its release. It will include all songs performed during the live, as well as the MC segments. Additionally, it will come with a making footage and a performance of "Shuumatsu Not yet" from 'AKB48 Request Hour Set List Best 100 2011' when the group was first formed. This time it's only been a little over 2 years.